There has been much talk about bees and pesticides recently. 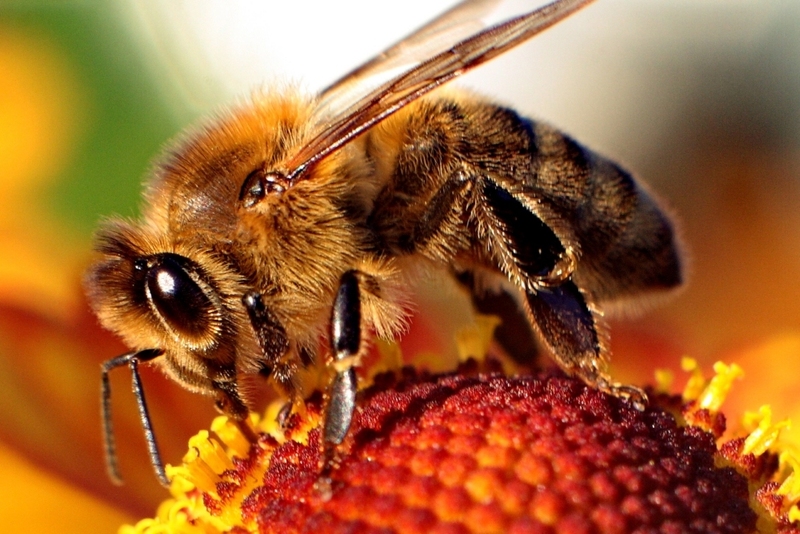 Especially, how a class of pesticide called neonicotinoids are harming bees. Without wading much into this issue, let’s talk about how scientists and regulatory agencies determine risk. As mentioned previously, Risk = Hazard (/Toxicity) x Exposure. It is the likelihood of a hazard causing harm. To determine risks to non-human species, the U.S. Environmental Protection Agency (USEPA) uses something called a risk quotient. Such RQs are called deterministic because it involves identifying a single exposure and hazard concentration for multiple populations, as for a variety of reasons, it is not possible to test the nearly 9 million species on earth. For example, prior to registering a pesticide, the EPA can ask companies to test 15 species of plants (5 water plants and 10 land plants), 2-3 species of birds, 4 species of fish (cold, warm, fresh and salt water fish), and 1 invertebrate species (usually honey bees). While this is a lot of testing, it obviously doesn’t come close to capturing the diversity of species and their sensitivities to chemicals. Also, individuals in a species can behave differently or can exposed to different amounts of chemicals. Hence, there is an increasing push to use probabilistic RQs. This means using multiple exposure and hazard concentrations and finding the probability and magnitude of risk. To find this, the EPA looks at the length of time a species is exposed to the pesticide. If exposure to pesticide occurs over a short time, then the hazard concentration is the concentration that causes a harmful effect in 50% of the population. The exposure concentration is the highest exposure that was seen. For example, if the species being tested is a fish, then the peak concentration of the pesticide in water bodies is selected. Generally, if the RQ from short-term exposures does not cross 0.5 (that is, the exposure concentration is half the hazard concentration), the risk is considered acceptable. For species that are threatened or endangered, the RQ should not cross 0.1 for land animals and 0.05 for water animals (that is, exposure concentration is one-tenth or one-twentieth the hazard concentration). If exposure to pesticide occurs over a long time, then the hazard concentration is the highest concentration that does not cause a harmful effect. The exposure concentration is the average exposure that was seen. If the species being tested is a fish, then the average concentration of pesticide over 21-60 days in water bodies is selected. Generally, if the RQ from long-term exposures does not cross 1.0 (that is, the exposure concentration does not exceed the hazard concentration), the risk is considered acceptable. That is, the pesticide is considered to be safe. What happens if the risk is unacceptable? Second set of studies (Tier II): Whole bee hives are placed in tents/tunnels and dosed with pesticide. If the acceptable RQ is exceeded, Tier III studies are done. Final set of studies (Tier III): Bee hives are placed in pesticide-treated fields. The survival, growth, number of eggs laid, quality and quantity of food produced, etc. of pesticide-exposed bees are compared to unexposed bees in a similar environment. If there is no difference between the two groups, the pesticide is assumed to be safe. If the treatment bees performs worse than the control bees, then the pesticide is assumed unsafe. With increasing tiers, the studies become more realistic but often produce unclear or contradicting results. For example, with the bee – neonicotinoid studies mentioned in the beginning of this post, Tier I and II studies often show the acceptable RQ being exceeded. But Tier III studies mostly show the opposite, though this is not always the case. Sometimes, a Tier IV study is carried out, where the natural environment is artificially recreated in an outdoor location. The idea is to mimic natural communities and their interactions. This is especially done for fish studies. cancels the registration of the pesticide. For example, in the last cycle where the EPA reviewed 613 pesticides, it cancelled 229 of them and imposed many label changes on the rest. However, other factors also go into this decision-making process. More on this later!